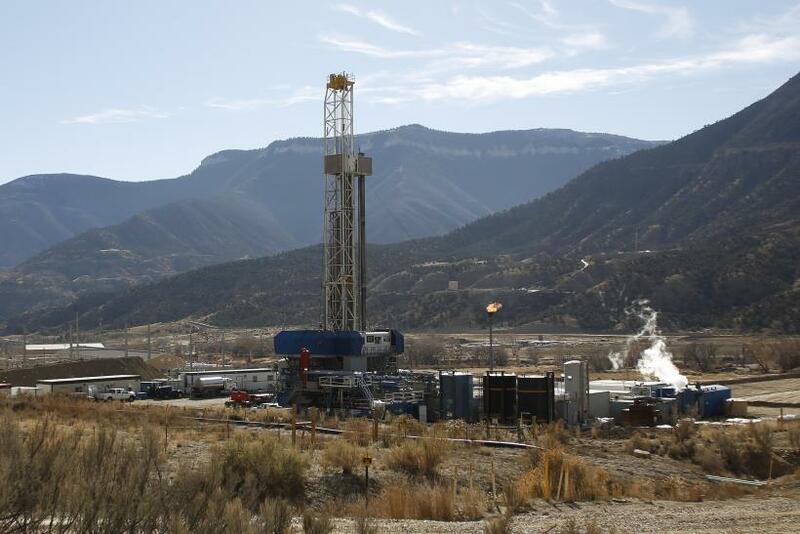 In the latest salvo in an intensifying national battle over climate change policy and fossil fuel extraction, Colorado Attorney General Cynthia Coffman filed a lawsuit to aimed at preventing local communities from restricting hydraulic fracturing. The Republican’s lawsuit on behalf of the powerful oil and gas industry comes only a few years after fossil fuel industry campaign cash boosted her campaign for public office. Republicans have traditionally portrayed themselves as supporters of local control; during a presidential campaign visit to Colorado, Donald Trump said he supported local officials’ right to restrict fracking. But Coffman’s lawsuit aims to overturn moratoriums on fracking passed by Boulder County officials who said they wanted to develop detailed plans for orderly fossil fuel development. Coffman's lawsuit to block local fracking regulations was filed just as a new Colorado School of Public Health study found that children in the state with "leukemia were 4.3 times more likely to live in the densest area of active oil and gas wells than those with other cancers." The legal fights over fossil fuel development in Colorado carry national significance, because the political swing state has one of the country’s largest reserves of natural gas. As environmental and public health concerns about fracking have mounted in recent years, a number of states are grappling with conflicts between state and local officials over who gets to oversee fossil fuel regulation. State lawmakers and courts in Colorado, Texas, Oklahoma, Ohio, North Carolina and West Virginia have tried to curtail local government's ability to regulate natural gas extraction -- and national conservative groups and legislators have pushed initiatives to preempt local fracking regulations. In Colorado, Coffman’s move to overturn the moratoriums follows a successful 2016 lawsuit by the oil and gas industry that supported Colorado state regulators’ right to prevent local communities from heavily regulating fracking. Environmentalists say scientific studies of Colorado show fracking poses a threat to drinking water, public health and clean air. In recent years, voters in cities along the Rocky Mountains’ gas-rich Front Range (such as Longmont and Ft. Collins ) have passed ordinances designed to restrict fracking over the opposition -- and political spending -- of the powerful oil and gas industry. Facing the prospect of more such moratoriums, the industry has pressed state officials to assert preemption power to crush the local regulations -- and it has stepped up its political spending in Colorado, according to data compiled by the National Institute on Money In State Politics. The oil and gas donors spent $1.2 million in the state’s 2010 and 2012 election cycles, and $22 million in the state’s 2014 and 2016 cycles. Much of that increase in campaign cash flooded into Colorado’s election in 2014 -- the year Coffman was running for Attorney General. A report from the watchdog group Colorado Ethics Watch found that 28 fossil fuel corporations and trade associations pumped nearly $12 million into groups that were active in that election. Much of that money flowed into a group working to stop a ballot measure proposing to restrict fracking; Ethics Watch noted that the group “spent millions on canvassing and get-out-the-vote efforts” while Coffman was running. Coffman’s campaign directly received nearly $20,000 from oil and gas interests -- including maximum donations from fossil fuel companies’ political action committees. She also was boosted in the 2014 election by the Republican Attorneys General Association (RAGA), which launched a $1.4 million political action committee that supported her candidacy. RAGA that year listed fossil fuel corporations and trade associations among its largest donors. - A combined $300,000 from donors at Ariel Corporation, which makes components for natural gas extraction equipment. - $185,000 from the Republican State Leadership Committee, which that year was funded by Koch Industries, Encana, ExxonMobil, and the America’s Natural Gas Alliance. RAGA and the RSLC also that year raked in a combined $5.8 million. - $2.7 million from the U.S. Chamber of Commerce, which has received financial support from fossil fuel corporations. The cash came into RAGA -- and then to support Coffman’s campaign -- as government documents surfaced showing how GOP Attorneys General were banding together to help the fossil fuel industry push back against proposed environmental regulations. Coffman is now reportedly considering a run for governor in 2018. If she becomes the GOP nominee, she would presumably rely on financial support from the Republican Governors Association, which in the last election cycle listed donors from fossil fuel industry players Koch Industries, Ariel Corporation and NextEra Energy among its top contributors. Coffman originally threatened to sue Boulder County in late January, after local officials declined to end their fracking moratorium. The trade industry representing Colorado’s oil and gas industry issued a statement hailing her lawsuit this week. Local officials from Boulder have said the moratorium is designed to let them codify local development rules, and that therefore the moratorium it is permitted under state law. On Tuesday, they slammed Coffman, saying she was inappropriately using taxpayer resources to defend the industry from necessary environmental regulation. Coffman’s lawsuit is only her latest move to support the fossil fuel industry. Last year, she helped lead a legal fight to halt federal regulation of fracking on federal land in Colorado. She also supported a lawsuit to block the federal government’s Clean Power Plan that was designed to limit carbon emissions.